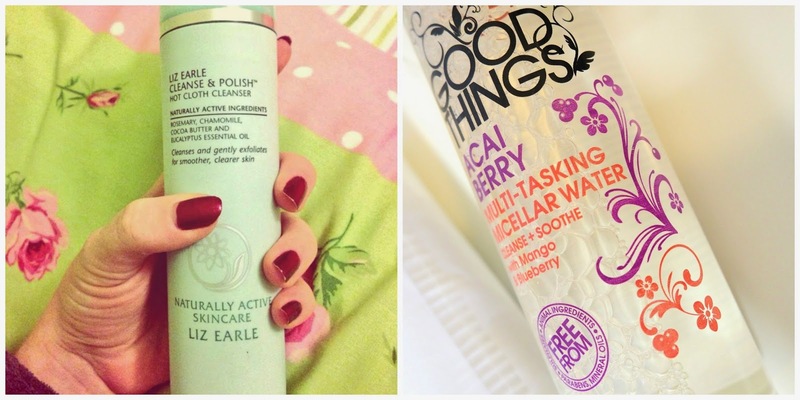 Today I thought I would share with you my March FAVOURITES. This is actually my first ever favourites post but I have really been loving some magical items this month – so I thought I would share them with you today! I love reading these posts because it is always great to see what people recommend in the blogging world, even if it makes my bank balance cry. You have probably heard about this pretty fabulous product before, the iconic Liz Earle Cleanse & Polish. 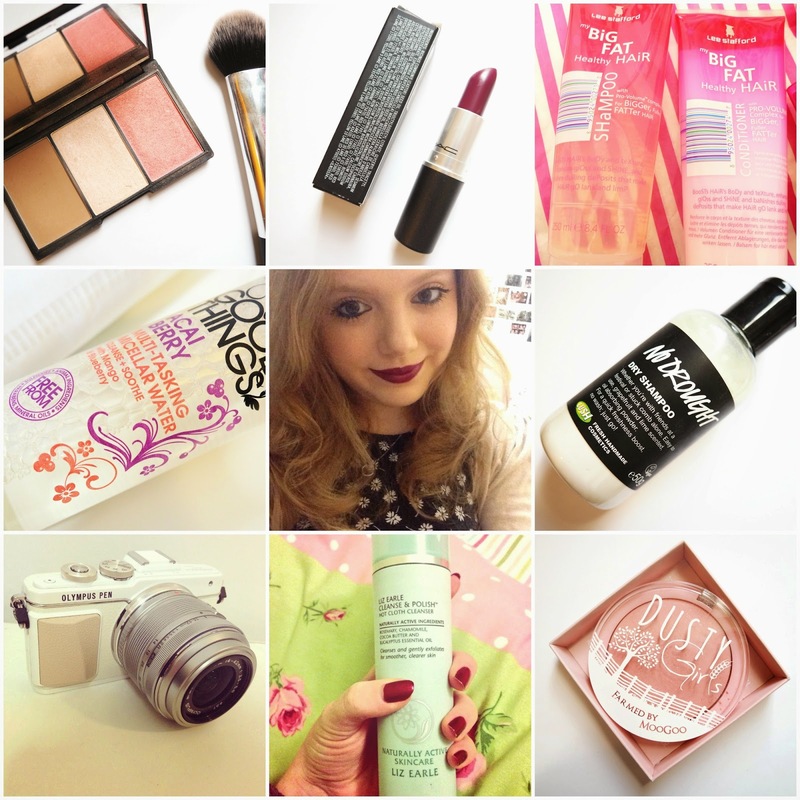 Loved by a lot of bloggers and youtubers, and I can definitely see why! It contains Rosemary, Chamomile, Cocoa Butter and Eucalyptus Essential Oils. I guess it is a little bit pricey on my student budget so I use this as a little treat at the weekends or if I am feeling perhaps a little bit down. For £15.50 I believe you get the 100ml product as well as 2 muslin cloths. These cloths are great at removing the dead skin cells. It makes my skin just feel extremely soft, as well as very fresh. Everything I now use on my face just doesn’t compare – I never feel fully clean unless I use this wonderful product! It breaks down make-up amazingly, even waterproof mascara, and it is very kind and gentle on the eyes! (I wouldn’t go shoving it directly in there though…) I have yet to explore the rest of the Liz Earle Range, but I am sure the temptation won’t be able to hold for much longer! I didn’t actually mean to buy this product, I popped into Boots because I was running out of my trusty Garnier Micellar Water, and it happened to be out of stock. Normally I would go and try Superdrug and see if they have any in stock but I decided to take this as an opportunity to try something new, I am glad I did! I had heard of Good Things before, but only because my best friend had a few of their products in the bathroom last year. This product range really caught my eye, all the beautifully packaged products lined up on the shelf so I decided to get a closer look. Since attending #nyLDNmeet I have been more aware of looking out for more natural products without parabens in. This product made that extremely easy for me by saying it smack bang on the front! 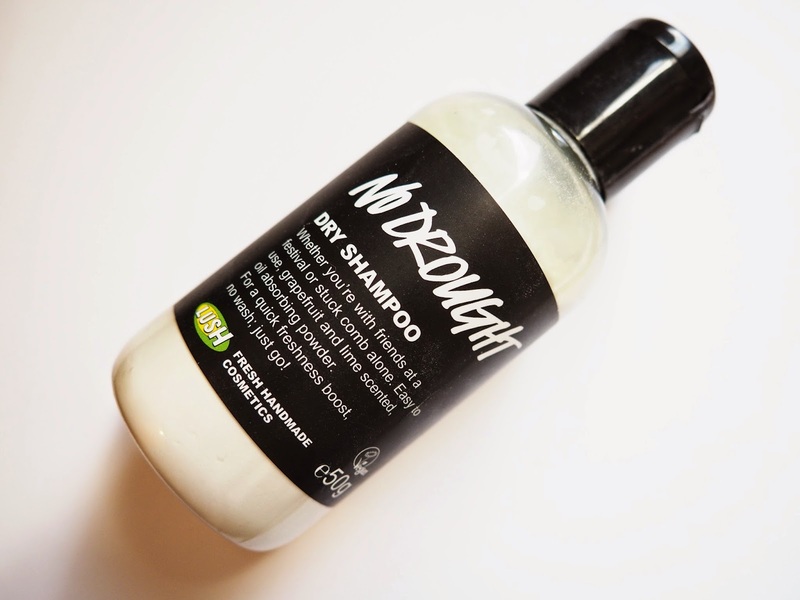 (Also free from animal ingredients, sulphates and mineral oils.) I really like what my skin feels like after using this, as well as what it looks like. It appears more radiant and healthy. It is also the most GORGEOUS smelling micellar water I have ever smelt. I have been using it everyday for…. my guess… about three weeks now and I am really pleased with it. This week I have had a few spots, but I wouldn’t put it down to this product… think it is just because I am a girl, if you know what I mean… I won’t lie, it doesn’t take make-up off as quick as the Garnier Micellar Water, but if you are after a more natural based alternative this one is really lovely! Although – BEWARE, it stings your eyes a lot if you get it in your eye – so don’t do that! 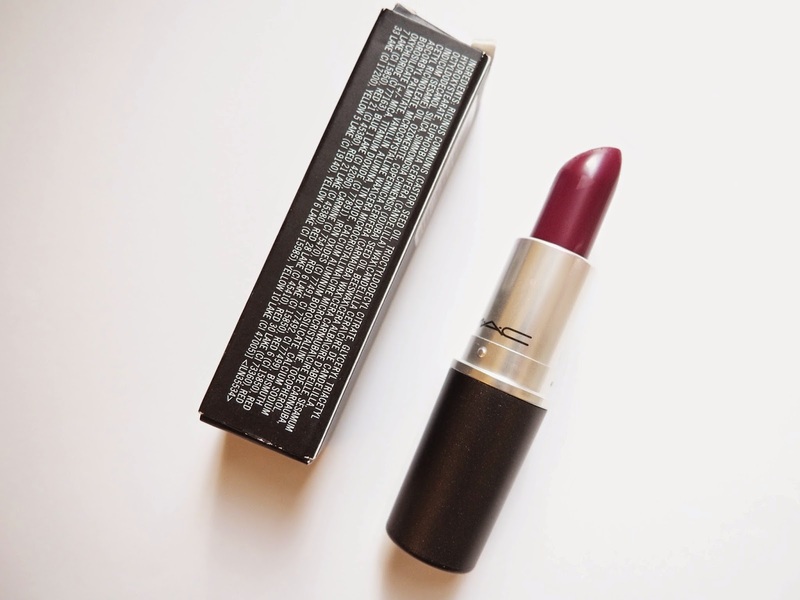 I never thought I could love a shade more, or as much as MAC Girl About Town, but this one is truly STUNNING. Described as a creamy plum, I think it is kind of a berry colour. 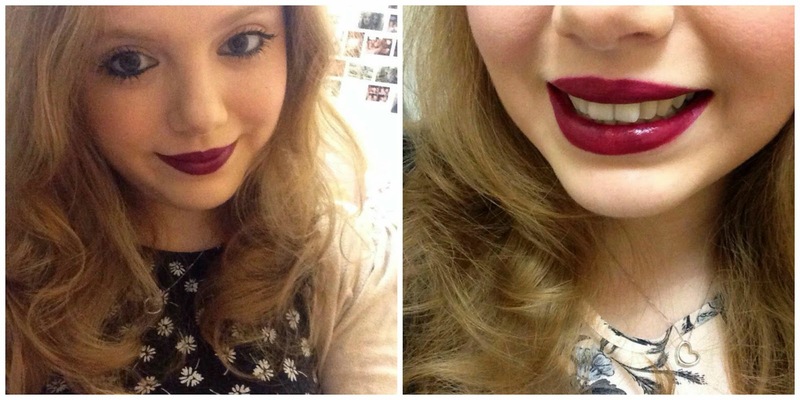 I find when I wear this shade I feel more confident than usual, it is absolutely lovely! A lip colour that receives many compliments, that is for sure! I find it clings to the bad dry parts of your lips quite badly, but give them a good scrub with a lip scrub and you are ready for the perfect evening pout! CAN’T STOP WEARING THIS SHADE. This blush is absolutely BEAUTIFUL. I am the emoji with heart eyes whenever I look at the blush. Dusty Girls are an extremely new brand to the UK originating in Australia. From the creators of MooGoo, a brand which I in fact featured in my previous post Finding Confidence In Your Own Skin. Dusty Girls, like MooGoo create their products with completely natural ingredients. The colour is a gorgeous pink with a touch of sparkle when in pan. It gives a healthy flush to the apples of your cheeks with a teeny shimmer, but not overload don’t worry! The packaging is lovely, it comes in a box and a little sleeve. I was surprised with how pigmented this blush was, with it being made of natural products, so do be careful not to put too much on your cheeks! 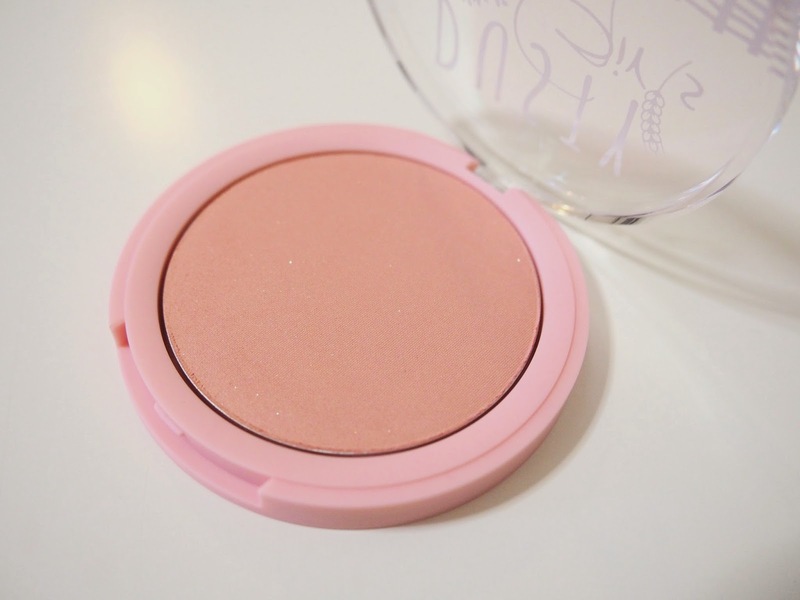 But this blush is amazing and I am so happy to have it in my collection! Thank you for sending it to me Dusty Girls and MooGoo! Make Up Revolution do a dupe of this product for just £4, I don’t know the quality of this product since I haven’t tried it, but I imagine like their other products that it is probably a great one! Oh hey there, finger print covered brush. mmmm. Anyway, I have a lot of love for this collection of brushes, but I particularly love this cheek brush. I pretty much purchased this set for this brush, I adore it for highlighting my cheekbones! This could just be my ultimate HOLY GRAIL. I rely very heavily on dry shampoo for that extra top up of freshness. I purchased this after the lovely Rhianna mentioned it on her blog. & my golly gosh (did I just say that…) this stuff is incredible! When it comes to dry shampoo I usually use Batiste or Co Lab. I have used talcum powder once, it worked really well – I just don’t like the smell of it! This works similarly to Talc, it is a powder, but instead it has a lovely citrus smell! I wish I purchased the bigger bottle because I really do love this, even if I make A MESS on my floor when I sprinkle it. A little does go a long way though. A wonderful product, that does the job excellently, plus it is a sustainable option in comparison to aerosols! Let me just begin by saying these products were incredibly difficult to photograph! The shiny material of the packaging just kept reflecting the light! The lovely ladies of NBPR sent me these products, thank you! When they arrived I kind of squealed because they are so pretty and pink, and they look wonderful stood on my shelf! 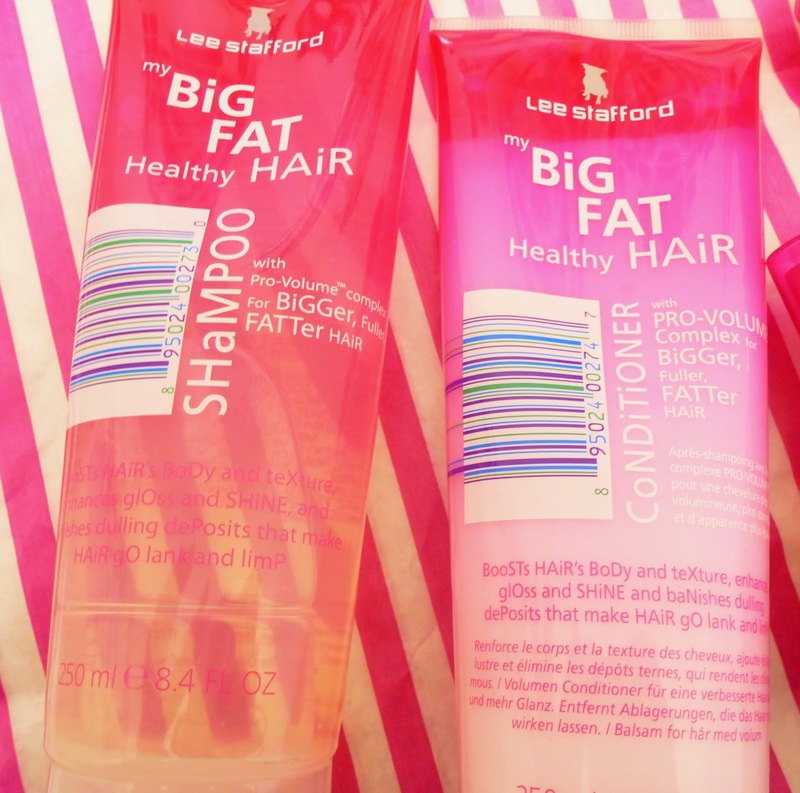 What I love about Lee Stafford products is that they are classed as high end in the drug store, whilst still being affordable compared to the likes of Redken and Bedhead. I have yet to test this shampoo whilst having straight hair. (Which is when I really need that BIG FACTOR, because when it is straight it goes very flat) With my natural curly hair, I haven’t necessarily noticed an increase in volume, but it certainly looks healthier, with a nice shine. It also feels healthier, almost like the hairs are thicker and stronger! I find my hair perhaps gets greasier slightly quicker than other shampoos that I use… but that might be because I can’t stop touching my soft hair! But that is no problem because I can use No Drought! On the day of washing, hair looks wonderfully squeaky clean plus a lot more maintained! A lovely duo of products. Those of you that follow me on Twitter or Instagram may have seen that I got myself a little toy eeeeek! My dad was lovely and gave me some money towards this for my birthday and I paid for the rest. It is such a beautiful looking camera! I am still in that stage where I am ‘oh so delicate with it’ and I am very cautious about it getting dirty – but all going well so far! I am still learning how to fully understand this camera, could really do with reading the instruction manual! It has lots of settings to have a play about with, including some filters. It has a ‘selfie’ fold out screen, which folds below, which could potentially work very well as a vlogging camera – I still haven’t tried this out though! (The current setting makes my hair extremely greasy oops! Need to sort that out rapidly) It comes with a strap, essential chargers as well as a detachable flash. 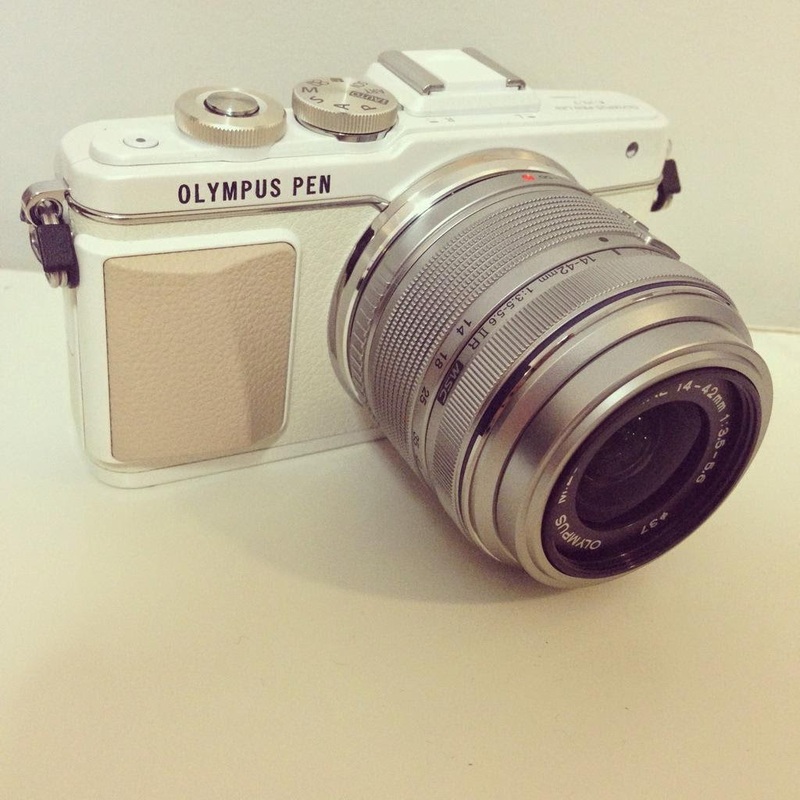 A lovely camera – perfect for blog photos. I am looking for a case for this camera, so if anyone has one of these and a suitable case, please link me! & that is my monthly favourites! I hope you enjoyed reading this post and do pick up any products that take your fancy! 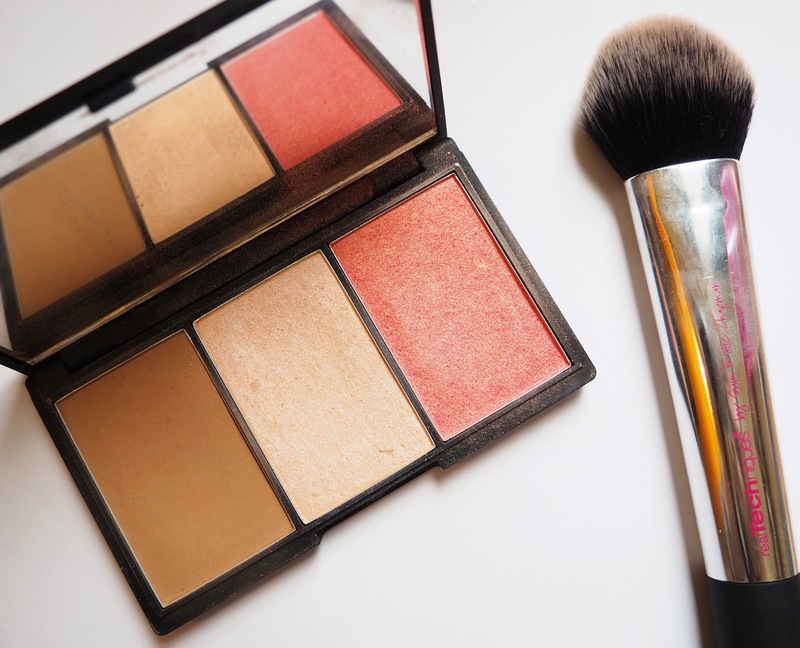 Have you tried any of these products, and did you love them? Sorry that I keep doing really long posts at the moment! I love the look of the dry shampoo! That might be next on my shopping list! Oh my god Kayleigh I absolutely adore your faves! My mum has some products from the good things range & everytime I go round I always take a sneaky trip upstairs to try them out. I literally stole her mattifying moisturiser yesterday my skin has felt, looked & smelt so beautiful all day. I didn't know they did a micellar water I must get my hands on it! Your new camera looks gorgeous! You should most definitely vlog with it that would be incredible I would totally watch you on repeat hahaha! I need to try the Lush dry shampoo, now you and Rhi have raved about it! I just brought a Good Things face wash and it smells AMAZING! I think I'd re buy just for the smell. Love the lipstick, looks so good on you. I still really want to try the Dusty Girl blush, it's such a pretty shade.